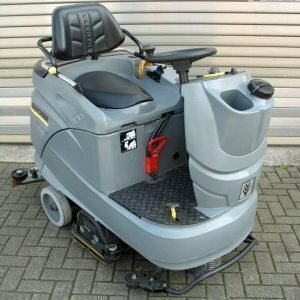 The Hako B750R refurbished scrubber dryer is a very versatile machine with extremely economical scrubbing whilst comfortably seated . 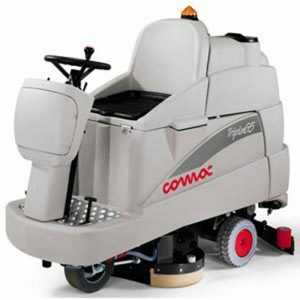 This is a very user friendly, economical & manoeuvrable scrubber dryer designed with comfort and performance in mind .The machine has a scrubbing performance of up to 4.800 m2 per hour . 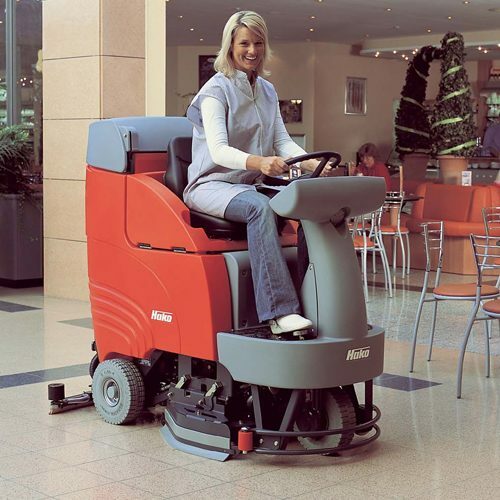 The Hako B750R scrubber dryer is robust and very well designed the brush deck . Both this and the front drive wheel are well protected by a metal structure . Because of this framework the chance of damage to vital components is reduced . 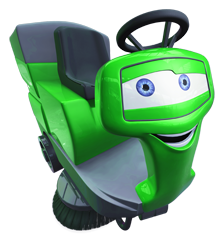 The controls for the machine are clearly laid and simple to use. 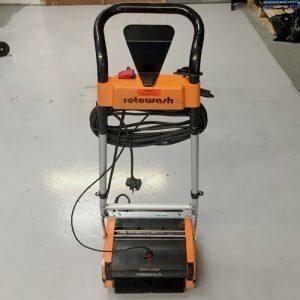 The machine can be used on many different surfaces . It can be adapted to these task with the push of a button either adjusting the solution flow or brush head pressure. 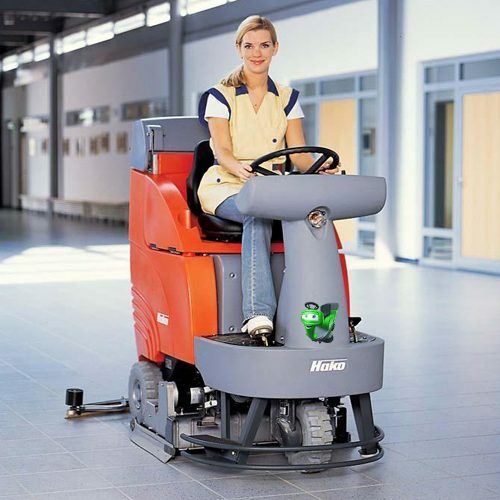 Because of the machines ergonomic design the operator is given a clear view. 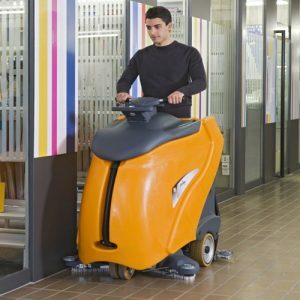 Therefore the machine can clean the largest area possible, which is particularly useful in highly congested areas . This systems provides up to a 50% saving of water and cleaning agents, this is TUV tested and proven. The machine has an electronically controlled water dosage system with memory function.